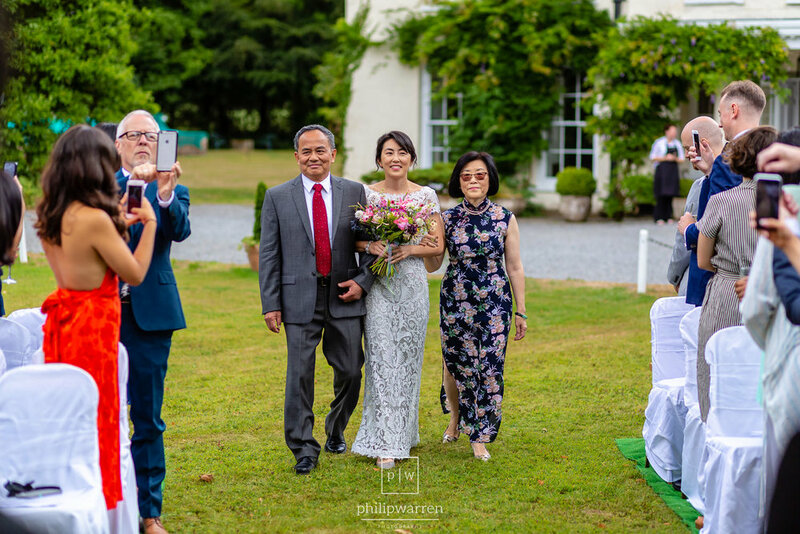 Irene and Dany a blessing last weekend at the spectacular Plas Glansevin Mansion. It was a super fun outdoor wedding, with craft beer and toy guns filled with espresso martinis. The couple met when travelling and have been together for 6 years. They are from opposite sides of the globe. Dany is from South Wales and Irene California, but now live in London together with their little baby boy. 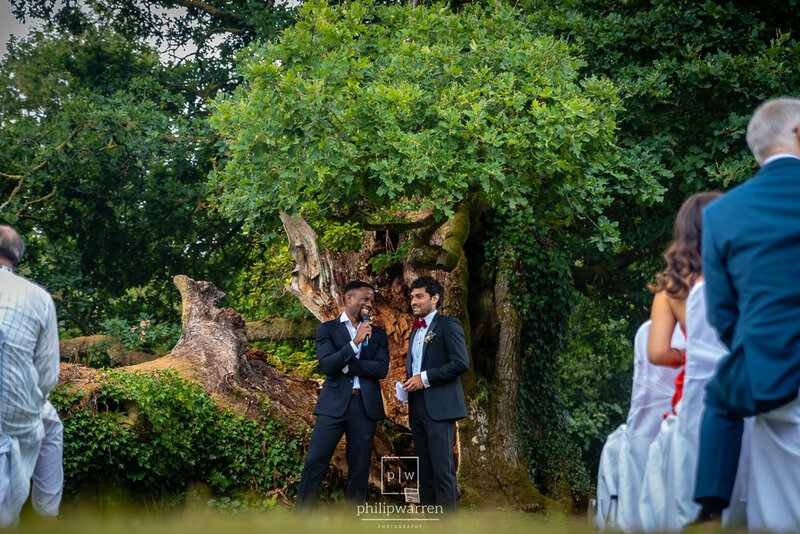 The ceremony took place outside the venue on the grass under the giant 900-year-old tree. The best man hosted the blessing, which was a lovely touch and so personal. The blessing began with the couple saying vows they’d written. They had various readings from family members and little anecdotes from the best man. It was a beautiful ceremony. Full of personal touches and some great cultural traditions. After the ceremony, the couple mingled with the guests. Then we did some family photos, which didn't take very long as I was working to a pre-made list. 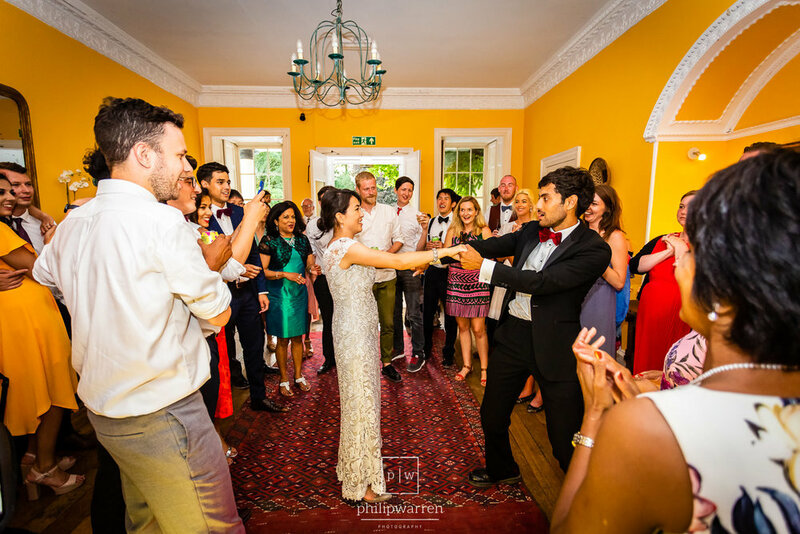 I got some fun guest photos as they enjoyed the welcome drinks, canapés and the incredible magician. The weather was so sunny, which everyone loved, but I should start packing some sun cream! They chose to have their wedding at Plas Glansevin Mansion because of the exclusivity of the venue. With so many guests arriving from all over the world, it made sense to have the blessing at a place that had many rooms for them to stay in. Plas Glansevin Mansion is an old mansion house outside of Llandovery. It’s got such a rustic feel to it, especially in the small rooms dotted inside the building. The couple had organised a free bar with a vast selection of craft beers and drinks to choose from. Being an open bar, everyone really enjoyed it. Especially making espresso martinis and shooting them through a kids water pistol. Everyone was then called in for the wedding breakfast. This was set up on the long tables outside in front of the venue. It was such a great idea in this incredible weather we are having. They had a few speeches between the main course and dessert. Which were a great segue to the evening – which turned out to be a lot of fun. With a slight break in the super strong sun, we took the opportunity to get some amazing portrait photos. Walking through the paths in the woodland before having some in front of the old tree. Perfect. After the reception, the band started up to get the party started, and the dance floor was packed until the very last song. The live band were a 4 piece brass band who played some fantastic songs that got everyone dancing. The evening ended with a paella cooked outside. 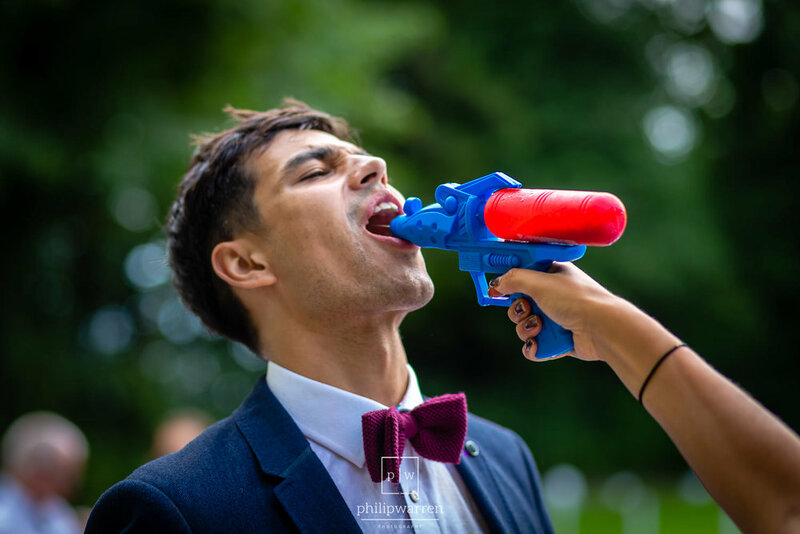 Which was such a unique idea – I love how the fantastic weather has let us have things like this at weddings. The whole wedding had such a fun atmosphere, from the beautiful vows to the excellent live band. This is the fourth blessing I've photographed this year. I can see why more and more people are choosing to do it this way. It makes for such a fun and relaxed day. 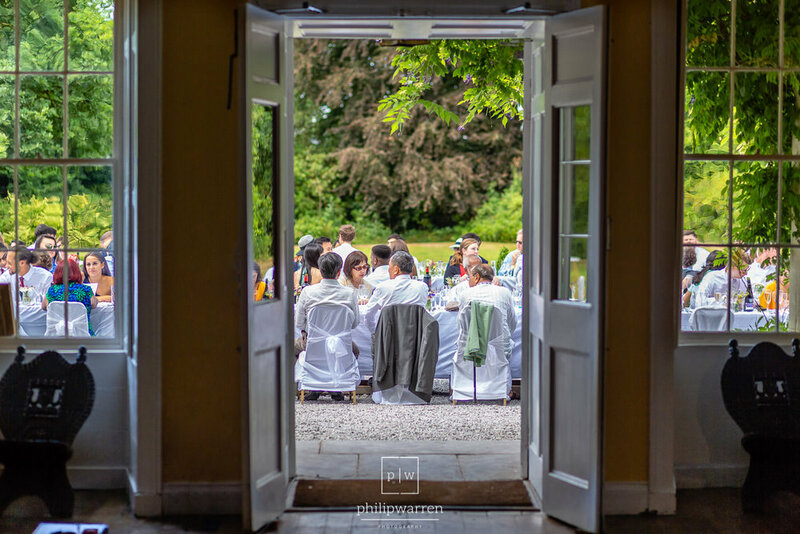 Getting married at Plas Glansevin or having an outdoor ceremony and looking for a wedding photographer? 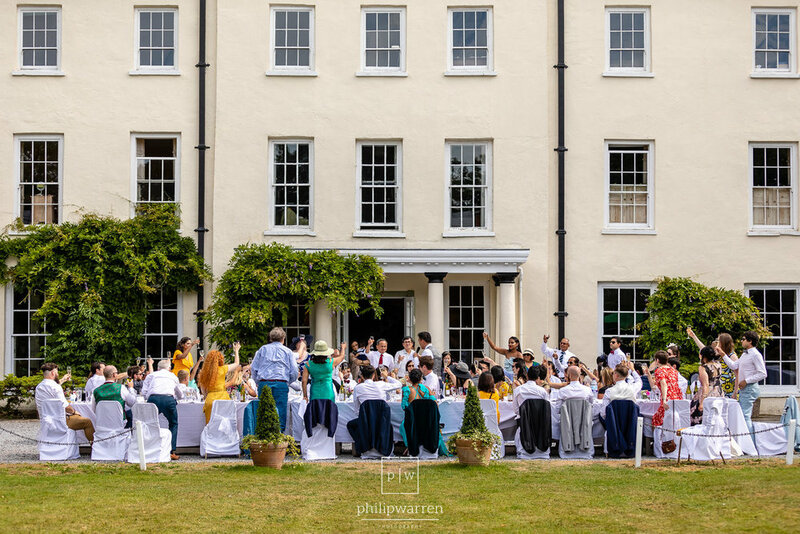 Please get in touch as I would love to shoot more weddings at this wonderful venue or outdoor ceremonies.